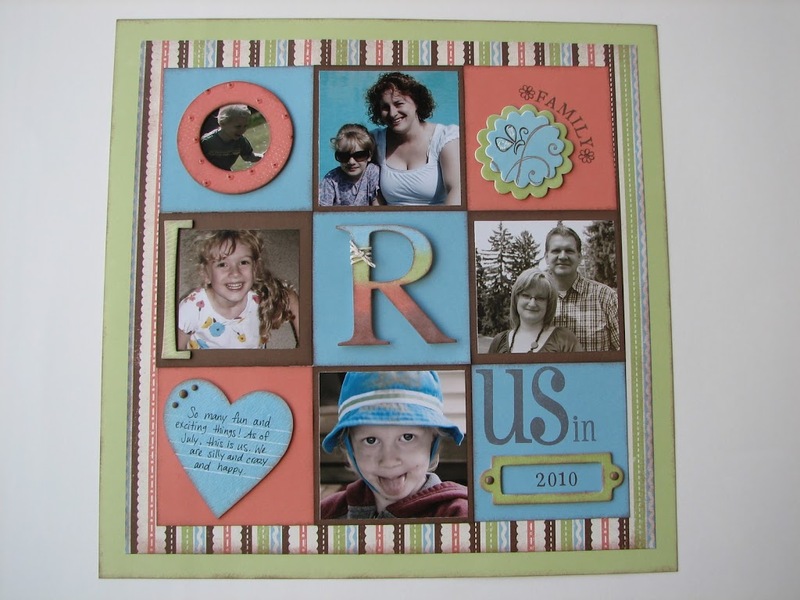 CTMH: Chipboard Should be Called Fun-Board! Okay, I know that title is a little silly, but I love chipboard, and I especially love CTMH’s Dimensional Elements Hearts. My problem is I forget to use all the fun chipboard shapes I own. It’s silly, really. I was going back through the photos of all my artwork I have taken and only a few actually have chipboard on them! What’s wrong with me?! Maybe this post will help me use up my stash. 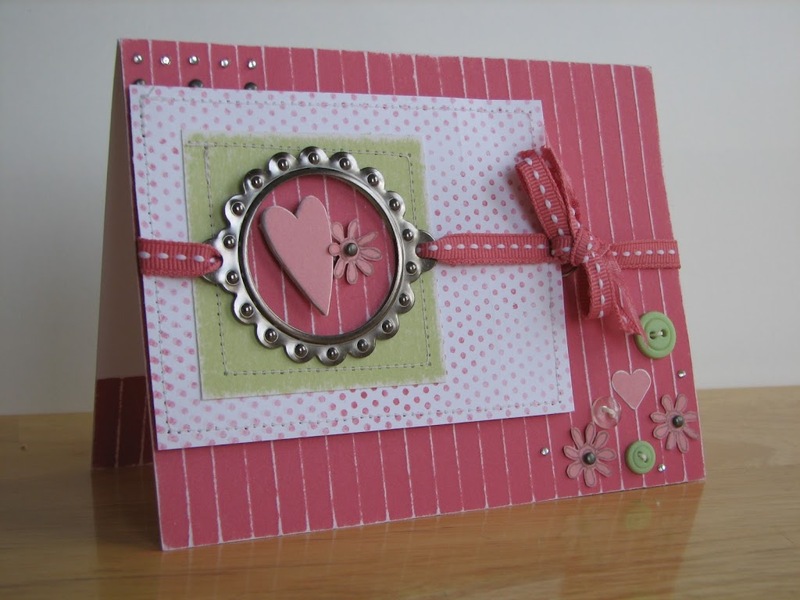 Close To My Heart has created white chipboard which means you can leave it as is, or do just about anything else to it. This layout, which I posted about a half year ago, has lots of ideas for how to use Dimensional Elements Hearts, or any shape. I’ve covered a circle with paper and then added dots of Liquid Glass, inked up two flowers with a brayer and then removed some layers so they’re not too thick and then stamped and added a rub-on, inked up an embossed bracket so a pattern shows through, added 4 different colours to a letter and blended them together a bit, scored and inked up a heart to turn it into a journaling space, and inked and distressed a book plate. Wow, that’s a lot of different things you can do with your Dimensional Elements Hearts. And since we’re focusing on hearts, here’s a card I where I used another one. Perfect for Valentine’s Day, which is fast approaching! Maybe I should use up my Dimensional Elements Hearts for cards this year. What will you use your’s for?